Do you want to download all email attachments to your computer? 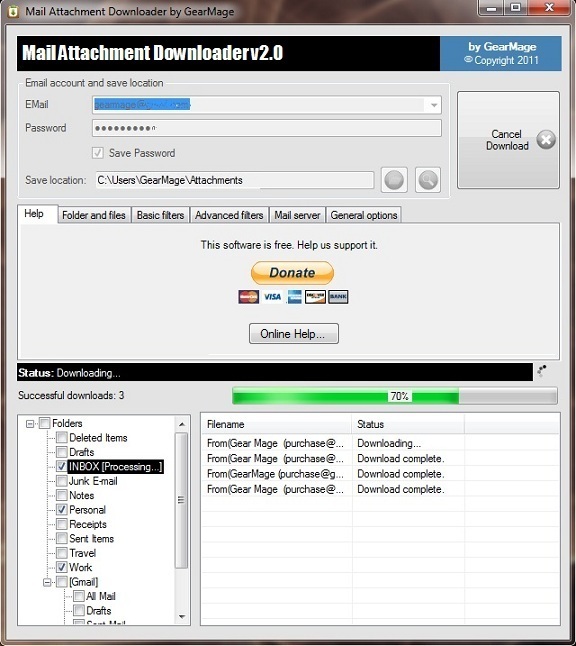 Mail Attachment Downloader is free Windows software which downloads all email attachments from Gmail, Hotmail etc. This freeware can be very useful to you if you share photos, videos, files etc. with your friends and family using email attachments. In this mail attachment downloader you just need to enter your email account (Gmail, Hotmail etc.) username and password and select the location where you want to download e-mail attachments. Now sit back and relax while this email attachment downloader downloads all files from your email account and saves them in the selected folder. This software will be very useful for those who want to keep a local backup copy of all email attachments or who are planning to delete their old e-mail accounts. and moving to new ones. Now you don’t need to go through all emails to find and manually download all photos and videos and files. It does not change any email status (read/unread) or delete any emails, all your email will be stored in the mail server. This email attachment downloading software has many features. It can download mail attachment of selected types like you can only download all photos or you may select to download only videos etc. 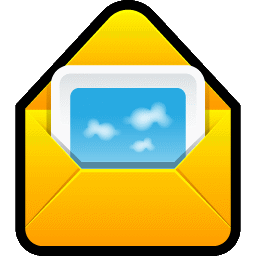 Mail Attachment Downloader can also schedule downloading process and will sit in the system tray and download attachment as soon as they arrive in your inbox. It can also download attachment between selected dates or from only selected users and more. This handy software can download mail attachments from all popular web mail providers like Gmail, Hotmail, AOL, Y!Mail Plus etc. This useful email attachment downloader is developed by GearMage. This software is just around 1MB in size. Do you know any other software similar to this? Please share it with us.